The third anniversary of hosting the podcast! It is hard to believe it has been three years since firing up the the recording program and posting my first episode. A little update as we enter the fourth year of the podcast. Planning to continue the podcast, hopefully with some additional, shorter episodes as well as interviews and other discussions. PantheaCon 2019 follow-up. Talking about workshops, divination, and hospitality suites - OH MY! An enthusiastic tale of this year's convention complete with plugs for some previous episodes. Music: To Hear the Trumpets Call (intro)by Hauk Heimdallsman. Hauk's music is currently on Bandcamp you can find him on Facebook @HaukMusic. Hauk was interviewed on episode 5. Black Hat Society's latest album can also be found on Bandcamp. 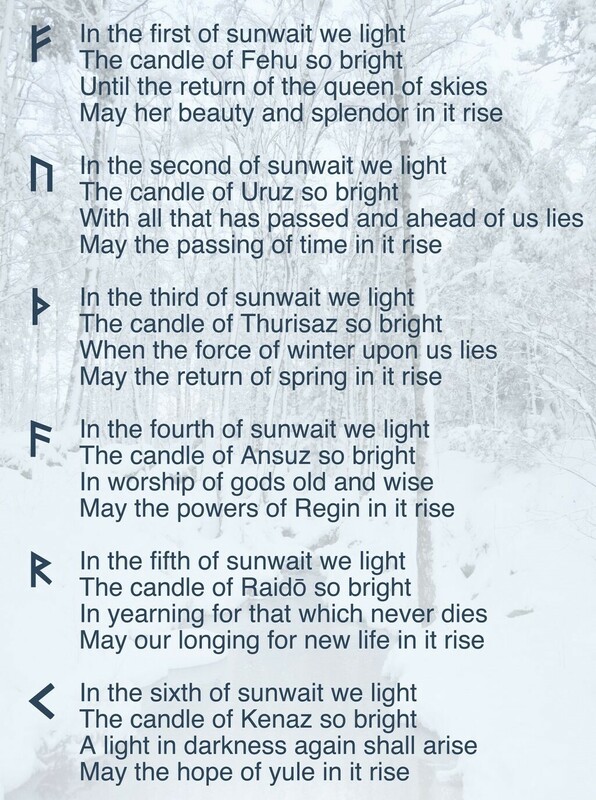 Middle piece: Norns and outro Stanza 4 & 5 both by Tonya Threet. Welcome to another episode of Gifts of the Wyrd. This episode, we pipe aboard two Heathens serving in the US Navy who are taking steps to lead Heathen services (blots/study groups etc) aboard their commands. The Heathen activities aboard a US Navy ship were recognized nationwide in early January 2019 with media outlets picking up a story about the services held during deployment. Our guest, Josh W, was interviewed in the story which was carried in the Navy Times, Washington Times, Daily Mail, and other outlets. In March 2017, The Department of Defense added Heathenry and other Pagan faith groups to all branches of the military for official recognition. The Wild Hunt article describes more detail. BOOKS: There are a lot of books on a variety of topics. here are a few basics for starting out. 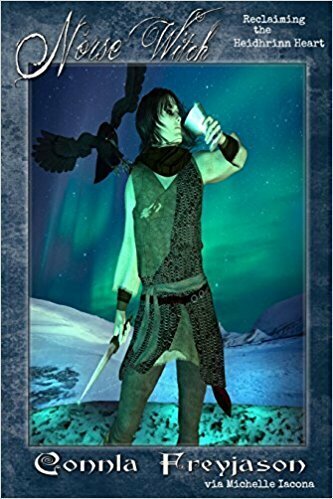 The Poetic Edda: The Poetic Edda by Dr. Jackson Crawford, The Poetic Edda (Oxford World's Classics) Carolyne Larrington translation, the Lee Hollander translation, The Prose Edda (Penguin Classics), the Saga Six Pack series. Music: To Hear the Trumpets Call (intro) and Gotham Sunrise by Hauk Heimdallsman. Hauk's music is currently on Bandcamp you can find him on Facebook @HaukMusic. Hauk was interviewed on episode 5. Black Hat Society's latest album can also be found on Bandcamp. 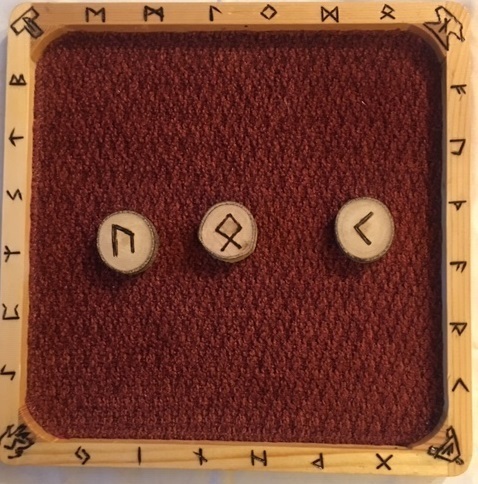 Anticipating late September 2019 release of the English translation of Germanic Magic, Runes: Their History, Mythology and Use in Magical Practice by Gunivortus Goos. Check out his books in English, Dutch, and German at Boudicca.de. 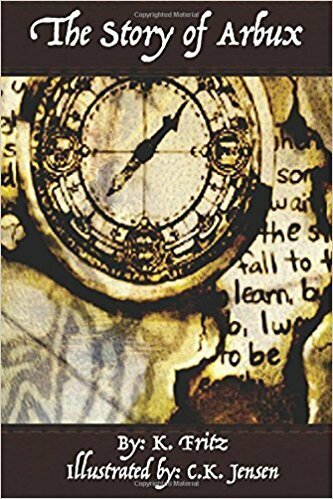 Episode 18, Ostara, includes Goos' book, Eostre Ostara Eostar (under the pen name of Gardenstone). Special "guest" song by Damh the Bard: Thundersbarrow Hill. Damh has some really great music! Please check his website out. In this episode, Jan speaks with Ethan Stark, director of Heathens Against Hate. Heathens Against Hate is a program of The Troth providing resources and information to to educate about and encourage reforming hatefulness in Heathenry and the world. Get to know about Heathens Against Hate and visit to the Parliament of world Religion in November 2018. This interview is also published on The Troth's podcast. Music: from To Hear the Trumpets Call music by Hauk Heimdallsman. Hauk's music is currently on Bandcamp and you can find him on Facebook @HaukMusic. Hauk was interviewed on episode 5. In this episode Jan is joined by Karoline Fritz, author of The Story of Arbux from Saga Press. Karoline shares her story as a writer and how Arbux stumbled into her life to tell his story. Order the eBook or hard copy from Amazon. See artist Caroline Jensen's artwork at the Majestic Gallery. 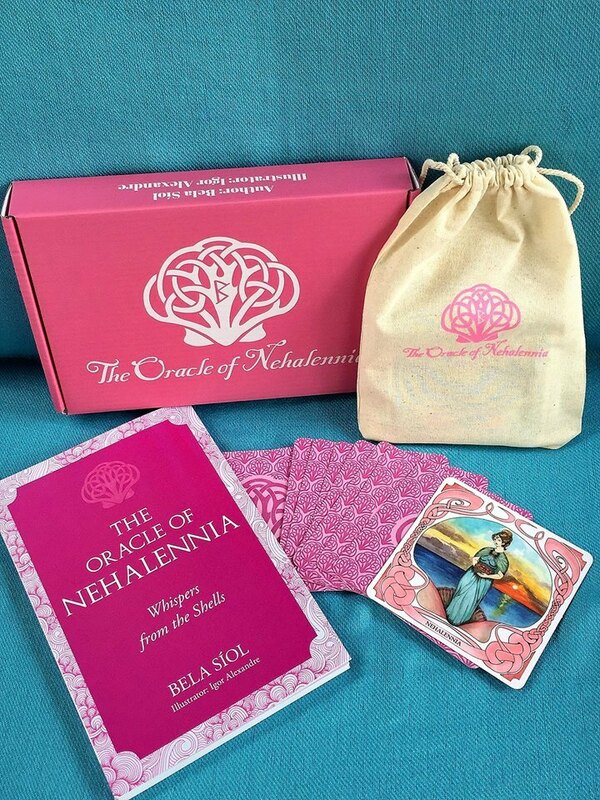 In this episode, Bela Síol, the creator of the beautiful Oracle of Nehalennia deck, joins me to talk about the deck, her journey to meet the Dutch Goddess Nehalennia, and other decks she is working on - listen to find out Who will be the subject of them. For information on the Nehalennia Harvest fesitval, see the Nehalennia Oogstfeest on Facebook. Jan visits with Vitki Kurt Hoogstraat. Kurt is facilitating an online space for people to exchange ideas and encourage the esoteric aspects of Heathenry of runes, siedhr, magic. 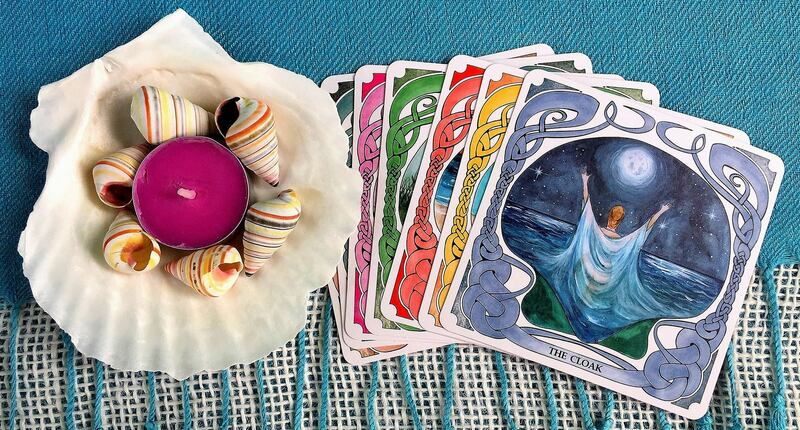 Those who are interested in the aspects of Vitki, Volva, Gythia, Godhi are encouraged to connect with others in an inclusive and safe space to connect. Kurt chats about working with others to grow the community through online connections and physical relationships when possible. Vitki Musings is available on Amazon. Find the Vitki/Volva Forum is on Facebook. Check out Kurt's new YouTube channel Vitki Gothi Speaks.